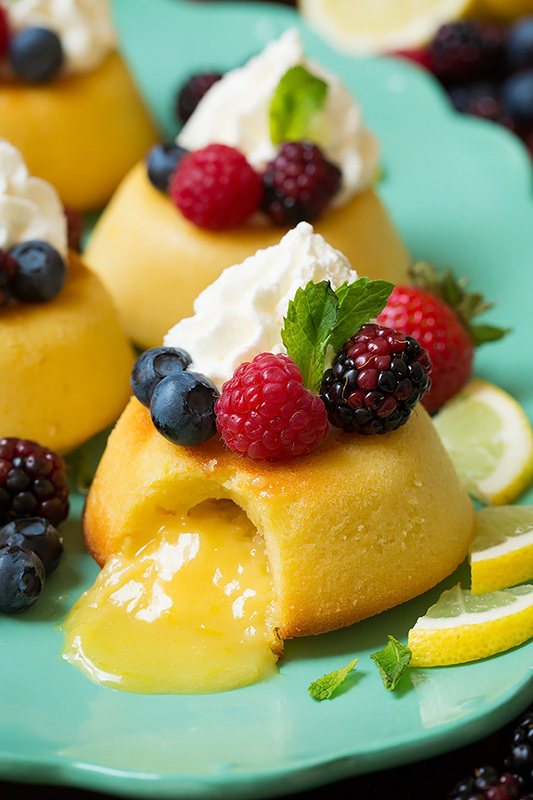 We couldn’t help but fall in love with these adorable lemon molten lava cakes. One batch of ingredients makes 7 individual cakes that can easily be tailored to fit the tastes of everyone in your household. Get the kids involved by allowing them to add the toppings. 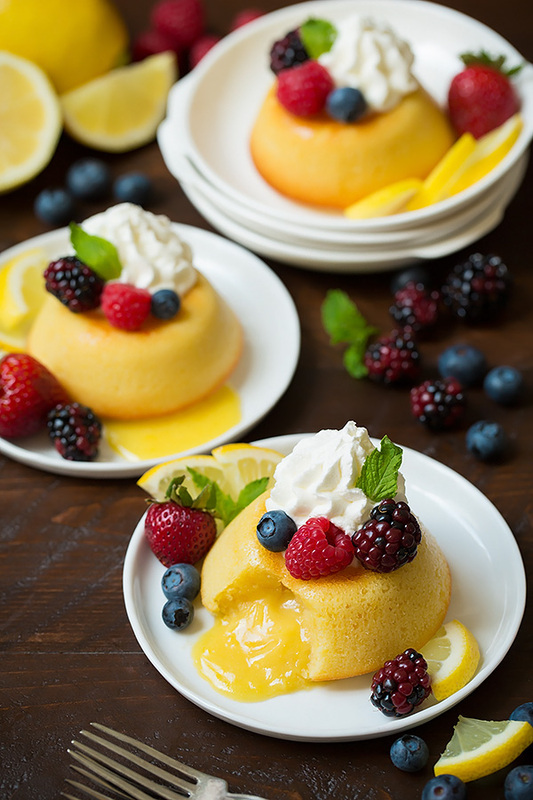 They’ll have a blast decorating with berries and whipped cream and just as much fun cutting into the dessert and watching the delicious custard center flow. Preheat oven to 425 degrees. 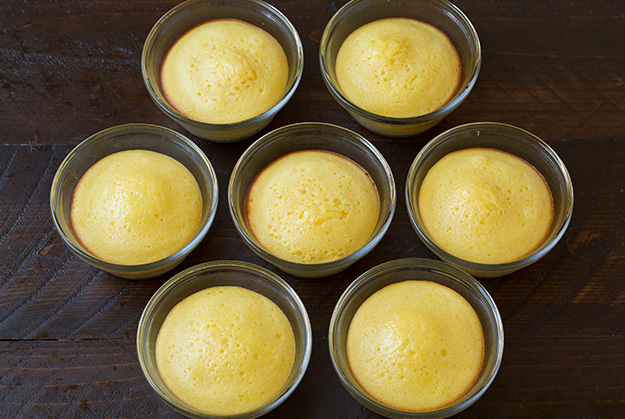 Place 7 (6 oz) custard cups on an 18×13-inch rimmed baking sheet. Place white chocolate and butter in a medium-microwave safe mixing bowl. Heat in microwave for 30 second intervals on 50% power, stirring well between intervals until melted and smooth. 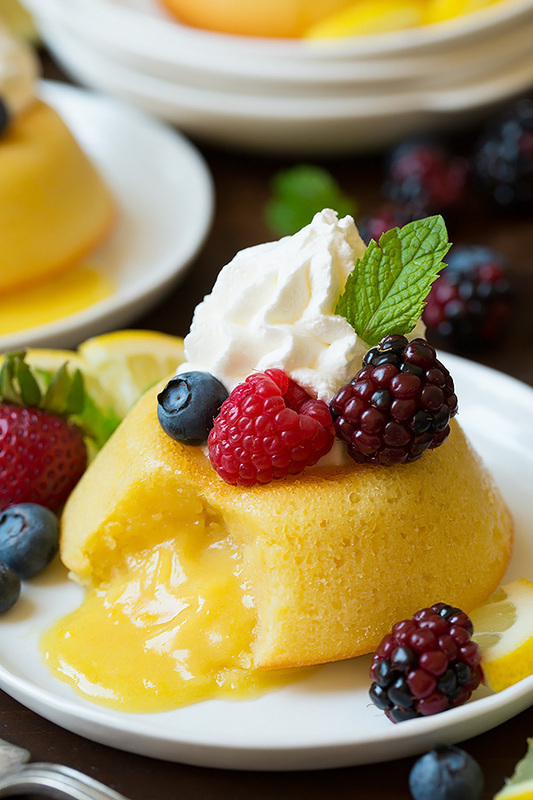 Stir in flour, powdered sugar and salt then add in eggs, egg yolks, lemon curd, lemon zest and vanilla and whisk well until combined. Spray custard cups well with non-stick baking spray then pour mixture into cups filling each about 2/3 full. Bake in preheated oven until edges are golden brown and centers are puffy and just beginning to set, about 14 – 17 minutes. Let cool on a wire rack 10 minutes. Run a knife around the edges of the dessert to ensure they are loosened then invert cakes onto individual dessert plates. In a medium-size mixing bowl using an electric hand mixer set on high speed to whip heavy cream until soft peaks form. Stir in powdered sugar then whip until stiff peaks form. Transfer mixture to a piping bag fitted with a large star tip. 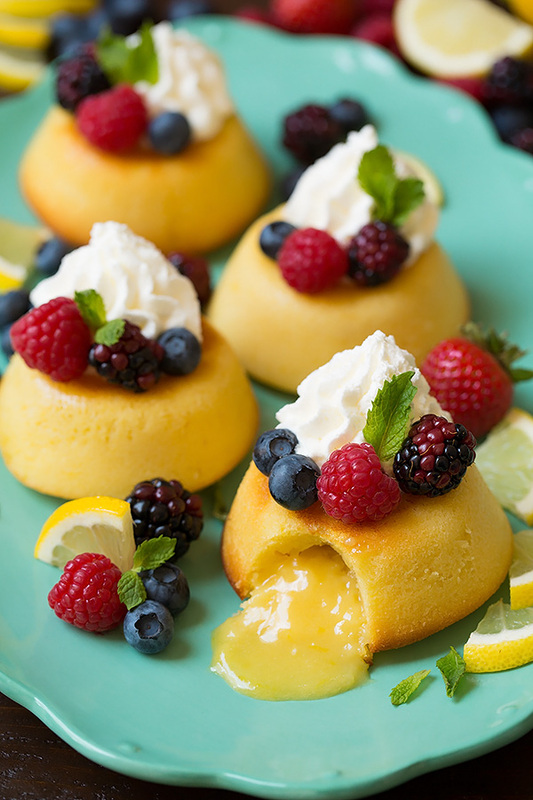 Pipe whipped cream over cakes, top with berries and garnish with mint.